Functional Integrative Training – F.I.T. FIT Sessions: It was like an anti-aging remedy! 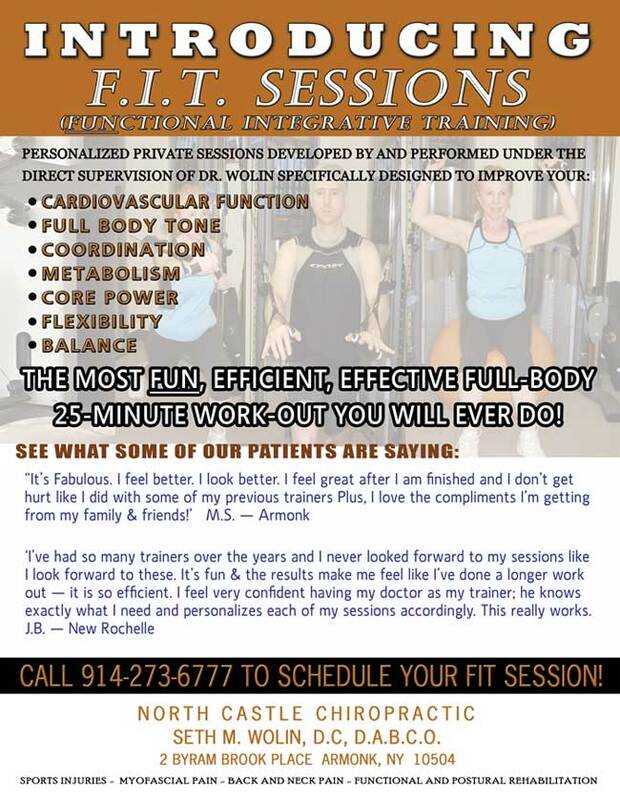 Training with Dr. Wolin and his FIT Sessions program was an effective solution to getting strong for my yearly ski trip. Starting three weeks before my trip, I trained with Dr. Wolin twice a week. Those six sessions made such a difference. I found, and even my ski partners noticed, that I was able to ski at my optimum level and with greater comfort than in the past several years. Previously I was having a great deal of difficulty enjoying a full day of skiing without fatigue. The only way I knew to get in shape for skiing was to ski. The FIT Sessions REALLY did the trick, and made my ski vacation the best I’ve had in years. It was like an anti-aging remedy! I’ve had so many trainers over the years and I never looked forward to my sessions like I look forward these. It’s fun and the results make me feel like I’ve done a longer work out, it’s so efficient. I feel very confident having my doctor as my trainer; he knows exactly what I need and personalizes each of my sessions accordingly. This really works.